If Brigham Young is not the most maligned individual on the list of the 100 Most Influential Americans, he is certainly the most misunderstood. Although 130 years have passed since his death, much of the confusion that surrounded him in life remains. He continues to be praised by millions as a prophet of God and admired for his contributions in settling the American West, but he is also frequently vilified. Through a series of brief essays that look at the fundamental aspects of a complex man, this unique biography examines both his remarkable life and his accomplishments and separates fact from fantasy. William W. Slaughter is a photograph historian and consultation archivist for the LDS Church History Department. He is the author or coauthor of several books, including Joseph Smith's America with Chad Orton and Trail of Hope with Michael N. Landon. William and his wife, Sheri, live in Salt Lake City. CHAD M. ORTON is a Church history specialist with the Church History Department of The Church of Jesus Christ of Latter-day Saints. 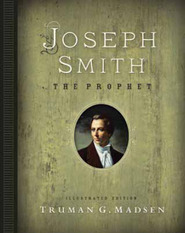 His previous publications include Joseph Smith's America: His Life and Times and 40 Ways to Look at Brigham Young: A New Approach to a Remarkable Man. He and his wife, Elizabeth, have seven children and five grandchildren. This book did give good insight into the life and character of Brigham Young. I didn't know a lot about him so it was all new to me. He was a complex man with good and bad qualities. The book was written well enough but I am not so sure how I feel about the man. The premise of this book is that Brigham Young has been an enigma for most of the years following his death. He's praised, disliked, misunderstood, and vilified from both those inside the Church and those outside. In short, well-researched and powerful essays ranging from "His Greatest Sermon,""Brigham as (Unsuccessful) Innovator: The Deseret Alphabet," and "His Finest Hour," authors Orton and Slaughter explore both Brigham's positive and negative qualities and present to the reader a fair and honest picture of him. As I read the book, I found my respect and admiration for Brigham growing. Brigham was a man followed his conscience and who did the best with the situations at hand, even if doing so would make him unpopular. Each essay is around 4-6 pages and I felt that breaking it down into small chapters was a wonderful way to present information without making it daunting and allowed me to read the next chapter whenever I had a moment to spare. I found myself constantly learning new insites and enjoyed that it was written for the everyday student of history, but that didn't mean that a serious scholar of history would be disappointed either. Many of the quotes used in this book I've never seen before. I would have to say that this book is the definitive book for those who want to better understand the man that Brigham was. This book made me really like Brigham Young. It showed Brigham as a wonderful and spiritual man who did many great things for this church. I really liked the small chapters and especially liked the ones that gave me new information about him. I would recommend this book to everyoone.